In the past few months you might have heard news of cyber-attacks resulting in security breaches almost on a daily basis. HIPAA and PCI compliance violations, hacker intrusions and internal negligence were the top reasons for that. Probably, the most violent and massive of recent breaches was the Shellshock (Bashdoor) vulnerability. It has hit most Unix-based systems, which makes the affected scope broad as never before: most network devices, Apache HTTP servers, Mac, Linux PCs and many more are at risk. 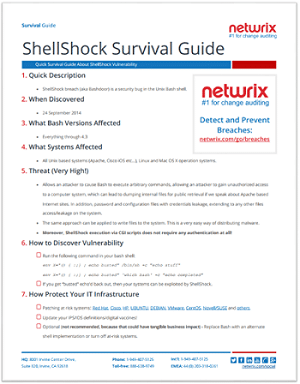 We have prepared a “Survival Guide” dedicated to the Shellshock security vulnerability, so hopefully you can avoid a security incident and protect your IT environment from leakages caused by this security bug. 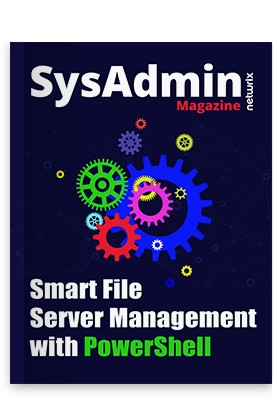 Unauthorized Software Installation on Windows Server - Who? What? When?